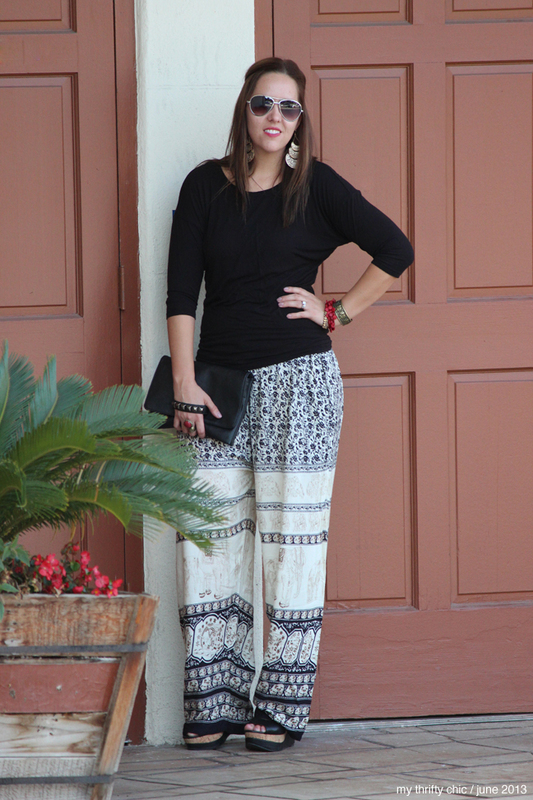 I am a huge fan of Palazzo pants, for obvious reasons; they are super comfortable! Palazzo pants first became popular in the late 1960s and early 1970s.The style was reminiscent of the wide-legged cuffed trousers worn by women fond of avant-garde fashions in the 1930s and 1940s, particularly actresses such as Katharine Hepburn, Greta Garbo and Marlene Dietrich (Wikipedia). This pair of elephant pants probably belonged to someone's grandma in the early 90's, but I'll rock 'em in 2013! I am also sporting my new hand strap clutch. I first saw this trend on SheFinds at the end of last year, but they were all ridiculously expensive (like 2G's expensive). So, I waited for mainstream fashion to catch on... and it still hasn't, but this was hiding at my local thrift store. It's Forever 21, but I have not seen this in any store or on their website. Hopefully, it was a test run, and they're stock more soon! 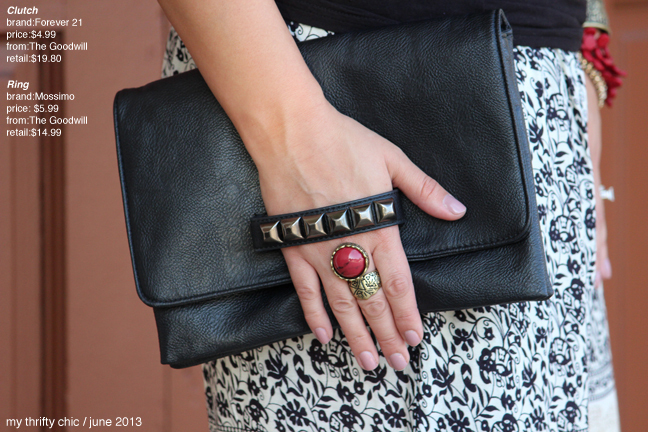 I am really digging this type of clutch, what do you think of this style? 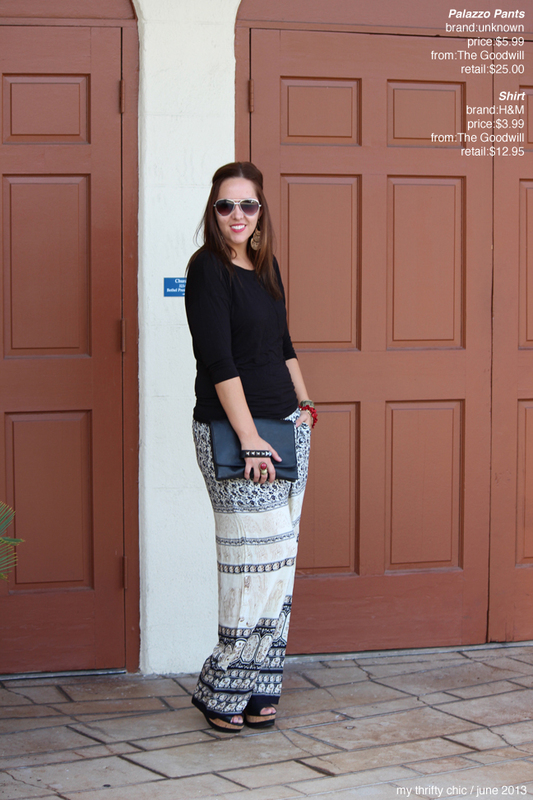 I love how you made these pants so modern with your accessories! Great look. P.S. I am hosting my 1st giveaway, I hope you stop by and enter. The outfit is a perfect! 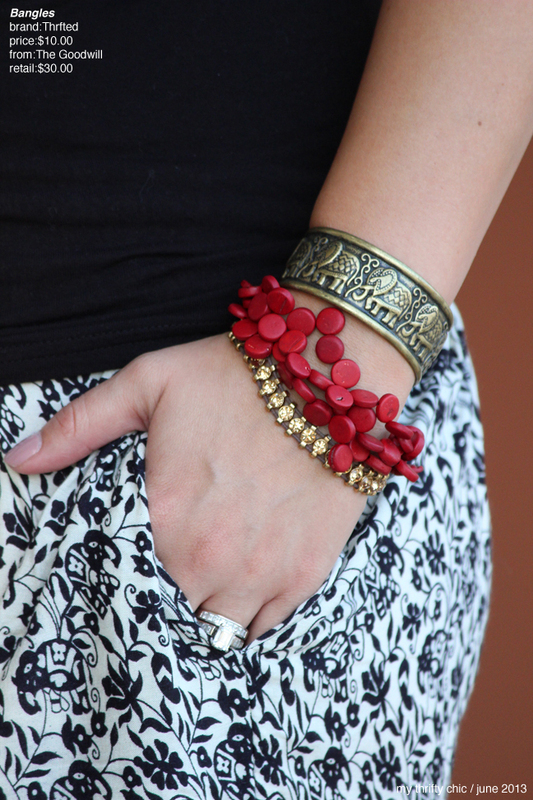 That elephant bangle is simply adorable! Everything about this is lovely! I'm so glad to see a fellow thrifter!!! I adore palazzo pants, but have to wear them when the hubby isn't around... he prefers micromini's , lol. Love it Tori :) The top is amazing on you! Those pants are insane and ridiculous in the best way possible. Link up tomorrow for my weekly tres-chic fashion thursday link up. I want those pants in my life! I LOVE the whole look! It looks great on you. But those shoes are amazing, I really like those!!! Hard to beleive you got all that at a thrift store. Looks right of the racks of an expensive store. My favorite so far! What a great find! Those pants are really fun! those pants are FANTASTIC! 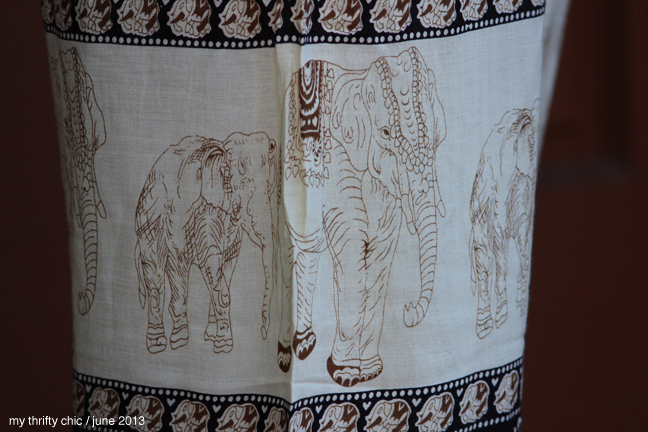 the elephants make them so unique! I really like your pants! The prints are so cute! Love this look! 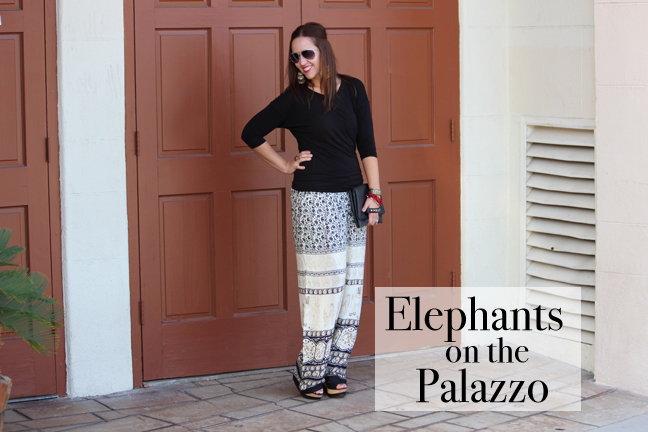 I'm a fan of palazzo pants too but I don't have any with elephants! I really love those shoes too and I'm impressed that you got this h2t look from my favorite store, Goodwill. Love the print! The ring is rocking this outfit too! I love that style of clutch. I always seem to drop mine and that little strap would prevent that. Thanks for linking up.